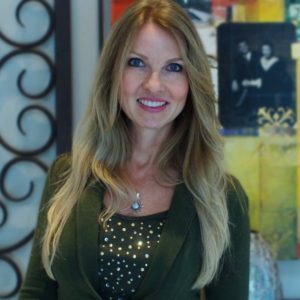 Jackie Kalnins CHT is a Business Owner, Wellness Consultant, Speaker, and therapist. With over 25 years in the health and fitness industry. Her background enables her to create a personalized wellness approach that encompasses both the mental and physical requirements for success. Specializing in Motivation and Confidence building, Relationships, and Goal Strategizing, she teaching the concept that “where your mind goes, your body follows”. Jackie uncovers any limiting beliefs and blocks that restrict her clients from achieving their goals. This allows greater alignment within the mind and body, utilizing optimum strength and energy to focus on performance results. Bikini competitor Marian Galang is a Registered Nurse, Certified Personal Trainer, Sponsored Athlete, Posing Coach and a Writer. With Several shows under her belt and a strong passion in fitness and health, she has done tremendously well on and off stage since she started her journey years ago. Marian is a strong believer in a healthier approach when it comes to preparing athletes for the stage. Her methods vary for each client and she has been successfully helping people achieve their fitness goals for the last 4 years. Marian also possesses knowledge about the different physiological functions that take place within the body. Her methods are backed by science which has proven to be successful both in the on-season as well as off-season. Na’iyma Thompson is an ISSA certified personal trainer and a top National level bikini competitor with many years of experience. She is also a model, and fitness enthusiast. Being fit is her lifestyle and she has a true passion for helping others. Na’iyma aspires to become the next fitness icon, traveling the world and inspiring everyone she meets.